Our studio is located on the first floor of the newly constructed ATP office building in Orland Park, Illinois. Linden Group joins ATP’s vision of commitment to the future by locating our headquarters in a building designated with Leadership in Energy and Environmental Design (LEED) certification. 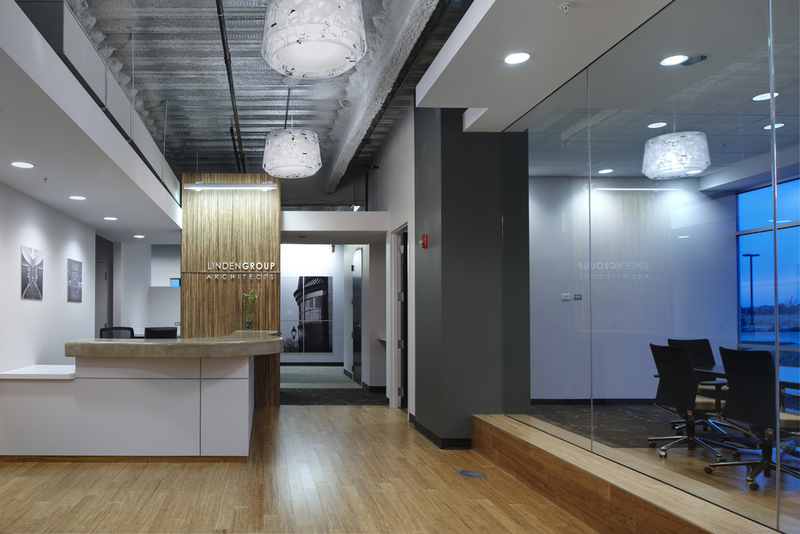 The office lobby features a simple expression of materials including the use of eco-friendly bamboo flooring, bamboo wall panels, exposed structural and mechanical elements, drywall soffits, and a free form concrete counter top at the reception desk. These materials fold and wrap surfaces defining spatial volumes. The “origami” of folded materials flows between spaces and interconnects various office functions. Floor to ceiling perimeter glass provides maximum day lighting to work areas. 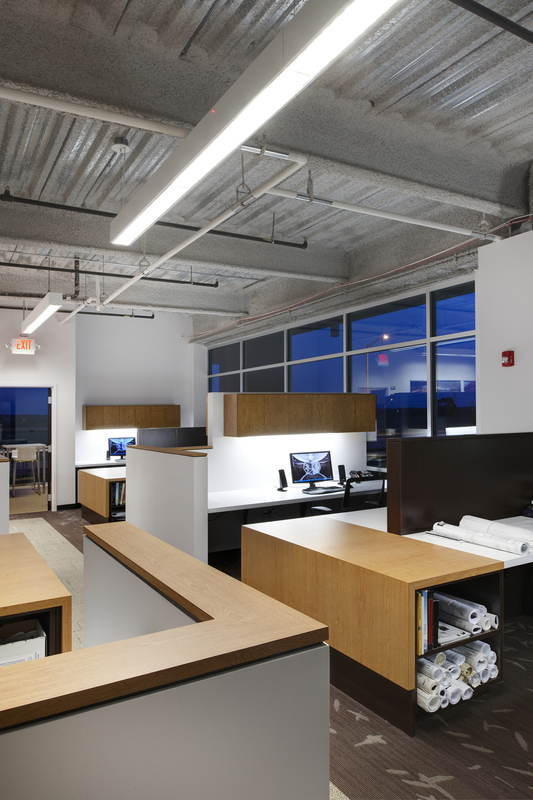 The 5,500 square foot office space is organized in an open studio concept with work stations positioned along the glass and reference areas located toward the interior core. Adjoining work stations flow into each other as desk tops fold down and engage the floor. The work areas are linked together by collaborative areas that provide a variety of opportunities to share collective knowledge. In an effort to be sustainable and save costs, 80% of the built in casework was relocated from our Homewood location. Oak millwork was reconfigured to provide a unique style, while providing a more efficient layout for work stations and the materials library. Other clients we've worked with in the world of Corporate projects include: Doralco, Future Ceauticals, Panduit, and Van Drunen Farms.